Find out why LLCs give you and your company the best protection and save you the most money. See why our U.S. Supreme Court Counselor chooses to use an LLC over any other entity. LLCs are not hard to set up when you have the right tools. Use all the tools of wealth. Putting your company into a trust can offer another level of asset protection as well as simplifying the transfer of your membership interests to your heirs without probate. If you are new to LLCs, wondering if the LLC is the right business structure for your company or looking to set up a new LLC, you’ve come to the right place. We know LLC’s, how they work, why the LLC is the best entity structure for protecting your assets and how to set it up so you can take advantage of ALL the tax benefits of an LLC. If you already have an LLC, it’s important to make sure it’s set up properly. Being a counselor on the U.S. Supreme Court, I get to see many things. And what bothers me most is how incomplete most LLCs are–how they don’t hold up in court because they are missing a few critical pieces that complete the LLC and give it protection. 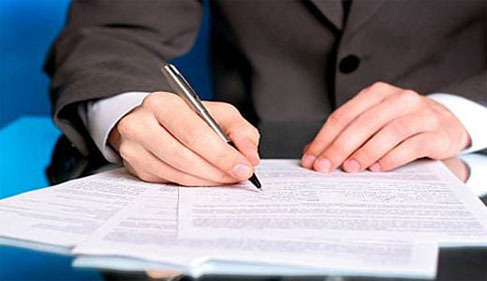 The routine steps to forming an LLC consist of: 1. filing an LLC articles of organization form with the state, 2. deciding on a tax structure for your LLC taxes to be filed under, 3. adopting your LLC operating agreement and 4. following the required “formalities” outlined in your LLC operating agreement and state statute. Each state has a unique set of information that needs to be filed when forming an LLC. There are some decisions that have to be made, but generally the LLC articles of organization forms just require “information.” For example, you have to have the name of the LLC, address of the LLC, list a registered agent and in some states list the members. That means you have to decide whether you will create a single member LLC or a multi-member LLC. A single member LLC can be taxed as a “disregarded” entity, which makes filing taxes a little easier, but it has some potentially serious “asset protection” drawbacks. There are a number of issues that need to be addressed to make the decision between a single member LLC and a multi-member LLC. Many states let you file your LLC articles of organization electronically. Check with your state. For a direct link to your state, see our state LISTING OF WEBSITES for LLC articles of organization filings. If you want line by line help filling out the state LLC articles of organization, get the LLC Wizard. The LLC articles of organization tutorial is in Course 2. Once you file your LLC articles of organization with the state and pay your state fees, you’re an LLC. Congratulations!! Unfortunately, a lot of attorneys and many websites stop there. If that’s as far as you go, you’re missing the tax advantages and asset protection an LLC can give you. You’re Not Even Half Way There! LLC Taxes – What Structure to Use? Once you’ve got your LLC articles of organization filed with the state, you need to think taxes. You make the tax decision before you adopt your LLC operating agreement form, because the form has to be customized for the tax structure you decide on. LLC taxes are calculated on the structure you choose. Note that you get to choose your LLC tax structure. You can choose to be taxed as a sole proprietorship. You have to be a single member LLC to be taxed as a sole proprietorship. This LLC tax structure is also known as a “disregarded entity,” because you just file a schedule C with your personal 1040 form. If you have a multi-member LLC, you can file as a partnership. Everybody gets a K1 on their tax returns. It’s a partnership in the IRS’s eyes. Everything comes out as earned income to the partners. If you are a single member LLC or a multi-member LLC, you can choose to be taxed as a corporation. You can pick a subchapter S corporation or a chapter C corporation tax structure. Yes, a single member LLC can be taxed as a corporation – either S or C.
If you have your LLC taxed as a corporation, you are not creating an LLC corporation. There isn’t any such thing as an LLC corporation. There are LLCs taxed as corporations, but not LLC corporations. You are forming an Limited Liability Company, aka, LLC not a Corporation. By picking the right tax structure, you can take home 15 or 20 percent more over picking poorly. That’s a big deal to me. 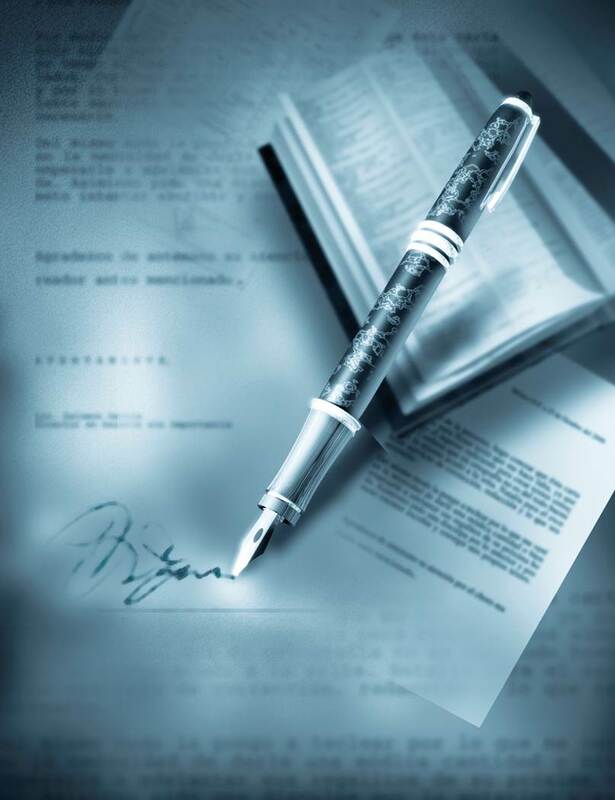 The term “LLC operating agreement form” is probably not a good term, because it implies that you can use a form document to create your LLC operating agreement. That’s exactly what all the internet sites do, and it’s what most attorneys do. You get the LLC operating agreement form they pump out for everybody that comes along. There is one “BIG” problem with this. The LLC operating agreement should be a unique form to you. 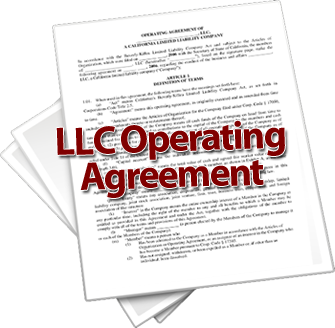 The LLC operating agreement is the document that defines how you operate your company and it should be customized to you. It should be at least 15 pages long. If it is a larger company the LLC operating agreement form will be 30 pages or longer. The bottom line is your LLC operating agreement isn’t just a slap it together 3 page document. I’ll give you a Free LLC operating agreement. But, remember it must be customized to fit your needs. It’s by far the best one you find out on the internet. Once you’ve got your LLC articles of organization filed, your LLC taxes taken care of, and your LLC operating agreement from in place, you’ve got an LLC. Now what do you do with it? Most people throw the papers in a drawer and start turning the crank in their business hoping to make some money. They figure the only way to make more money is to turn the crank faster and faster. That’s not the way smart people do it. Your LLC is a fine tuned vehicle. It takes you past the tax traps, past the folks trying to take away your hard earned money, and it gives you peace of mind. Most people don’t know they have a fine tuned vehicle. They just think they have a nice place to sit, and they may know the windows go up and down when they press the button. They have no clue that the vehicle will take them places. Your LLC has to be used. You’ve written the manual (the LLC operating agreement form), but you’ve got to execute. Your LLC can give you twice the asset protection you can get out of a corporation. Depending on how it’s taxed you could get 25% or more cash in your pocket each year. You have to follow the formalities. You may have been told that an LLC doesn’t have the formal operating requirements that a corporation has. That is actually true, but it’s a lie. The statutes don’t define the formalities, and some even say they aren’t necessary. The idea is to make the single member LLC as easy as a sole proprietorship or a multi-member LLC as easy as a partnership, and still give you limited liability protection. That’s all good, but when you get into court, the argument will always be made that this “company” is not really a company, but rather your “alter ego.” You have to prove to the court that it’s a company and not an alter ego. The way you prove it is a real LLC is to produce your LLC operating agreement and show the court that you lived by your handbook, aka, your operating agreement. The bottom line is you need to know what the “corporate formalities” are and follow them. Don’t commingle money. Do hold meetings, secure and document members, and managers’ approvals, etc. There is a question as to whether you should have a single member LLC or a multi-member LLC. In order to address the issue, you need to understand that there are two “asset protection” facets to an LLC. A corporation only has the limited liability shield. The shield protects the personal assets of the officers and directors from the liabilities of the corporation. An LLC has the same limited liability shield and what is called “charging order” protection. I won’t go into the aspects of charging order protection here, but it basically protects your LLC from the “personal” problems you have. (Personal lawsuits, divorce, catastrophic medical bills, etc.) You can’t protect your corporation from personal problems, but you can protect your LLC. Charging order protection is largely defined in your LLC operating agreement. What you write down in your operating agreement makes a huge difference. There is a trend starting with three states to do away with charging order protection for single member LLCs. Utah has statutes that say single member LLCs don’t have charging order protection. The Florida Supreme Court in a case, Olmstead, decided that charging order protection wouldn’t apply to single member LLCs, and a bankruptcy court in Colorado set aside charging order protection for single member LLCs. So far, the trend is just beginning, if it is in fact a trend. I discuss charging order protection in detail in How to Double Your Asset Protection. The short take home message is you shouldn’t have a single member LLC in the three states, but the other states are ok for single member LLCs, so far. The single member LLC issues only effect the charging order protection. The corporate shield (limited liability shield) is not affected. 1. Decide which state you want to form your LLC in. Don’t get suckered into filing in some exotic state like Nevada, Delaware, etc. Use the state’s website. 2. Decide on your tax structure. Don’t get a tax ID number until you are actually moving money through the LLC. 3. Design your LLC operating agreement. Use the template I have for you at a minimum. The template is free. It must be customized or your LLC is worthless. 4. Operate your LLC like a company. You’ve Formed Your LLC… Are You Protected? So, you’ve already formed your LLC or limited liability company, but nobody ever talked to you about operating your LLC. You just got the forms filed by your attorney or “LegalDoom,” and you think you’re home free. You will soon learn that you’re only HALF way there if you want to cut your LLC taxes, get good charging order protection, and maintain the “corporate shield” your LLC can give you. The common scenario I see is the businessman has just been sued and the courts have just given the creditors permission to come against the businessman personally to collect the debts and judgments. His papers were filed with the state. He has paid his annual fee, but he never adopted an operating agreement, or if he did he has never looked at it. None of the “corporate” formalities have been followed, because someone told him operating an LLC didn’t require him to do anything formal. Now he is standing there naked in front of his creditors with everything hanging out and he’s going to lose a lot of what he values. That’s an ugly picture, but I see it over and over again, because the attorneys and internet sites only get you far enough down the road to collect their fee. You’re told one thing, and the courts require something else. Actually, a number of the state statutes claim that operating an LLC doesn’t require any of the “corporate formalities.” But, let’s look at your LLC through the eyes of an attack lawyer. How do you operate an LLC so it isn’t an alter ego? Well, you follow the corporate formalities checklist. Yes, I know your LLC isn’t a corporation. It is an LLC. The corporate “formalities” were basically developed to act as a checklist for the courts. The courts say that if you follow the checklist and do the formalities, you must be operating a real company and not just an alter ego. (An easy-to-use checklist together with explanations available in my LLC Wizard package.) If you’ve treated your LLC as a formal company, then the courts will treat it as a company too and protect you personally from the company’s problems. 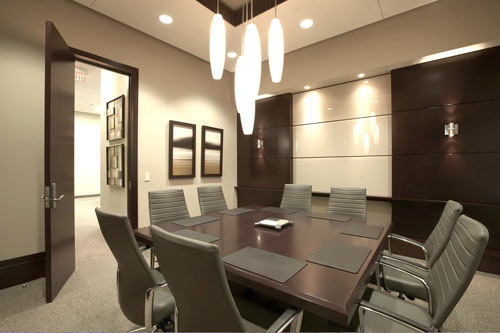 The other corporate formalities should be followed in order to insure you keep the corporate shield in place. The formalities aren’t hard if someone teaches you what to do and gives you a system. In fact, with a good system, it should take less than two hours a year to operate an LLC flawlessly. You need to understand that the corporate formalities are done to maintain the limited liability of the corporate shield. If you’re operating the LLC properly, it will give you the same limited liability shielding (corporate shield) you get from a corporation. The corporate shield protects you personally from the problems that arise within the corporation or LLC. Note that the limited liability isn’t automatic within an LLC. Limited liability is an election you make in your LLC operating agreement. Without an operating agreement, you probably won’t get any liability shield when you’re sued. If you don’t have an LLC operating agreement yet or want to check yours against a good template, then get my free LLC operating agreement template. It’s the best free template you’re going to get on the net, Guaranteed. Don’t stop there though. Learn how to customize your LLC operating agreement, and get the best charging order protection possible and save on your LLC taxes. Charging order protection is inherent in your LLC. But, your operating agreement can make it a lot stronger, if the operating agreement is written correctly. Charging order protection protects the LLC from your own acts. In a sense, it is the opposite of the corporate shield. The issue is which side of the company is the attack coming from? Is it a problem in the company or a problem with one of the members (stockholders)? Double the Asset Protection Out of Your LLC. I’ll bet nobody has ever talked to you about protecting your LLC from you. Most professionals only talk to you about protecting you from what happens in the LLC. You probably don’t want a single member LLC. In some states, you’ll lose the charging order protection if you have a single member LLC. 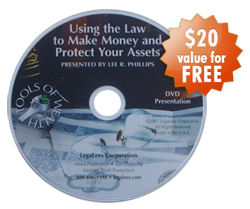 I wrote an eBook on How to Double Your Asset Protection. It discusses the single member vs. multi-member LLC, and what you need to know to make sure you don’t get burnt and lose your charging order protection. It will help you see the double asset protection you can get out of your LLC. Your LLC is your most important tax shelter. Your LLC is the most flexible tax tool you have. The flexibility is largely defined by the operating agreement you write (operating agreements need to be customized for what you’re doing). You can substantially lower your adjusted gross income with your LLC. That’s something you can’t do on your own. Note that the asset protection (the corporate shield and the charging order protection) is the same no matter what tax election you make. People are often confused and think they get more protection from an “LLC corporation” than they do an “LLC partnership.” An LLC is an LLC is an LLC. The legal structure and operating an LLC is the same no matter how it is taxed. LLC taxes have nothing to do with the legal structure.